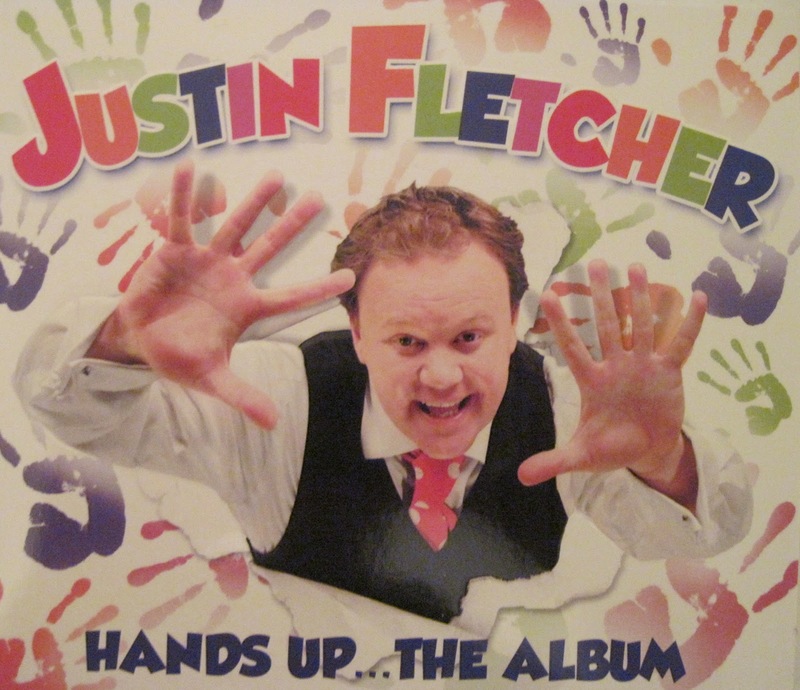 At the end of last year I blogged about Justin Fletcher's new single Hands Up We've been listening to his album in the car ever since and I can tell you that there is rarely a journey that goes by without a request to put it on. Isla's favourite song has to be 'The Hokey Cokey', she knows it word for word!! We actually have to bypass the first song and just go straight to that one because she loves it so much. If I'm ever in the car with Noah without Isla I often think I'll listen to some of my music, however he has other ideas. He's become so used to hearing it that he actually makes really grumpy noises until I put Justin on!! So there you have it, Justin appeals to 2 year old girls and 7 month old boys. Apart from The Hokey Cokey, the album also lists the title song 'Hands Up' and a few other kids party faves including: Heads, Shoulders Knees and Toes (great for a bit of a work out! ), Oh I Do Like to be Beside the Seaside, If You're Happy & You Know It. My favourites have to be the 3 songs at the end of the album as they are nice and gentle and usually if we've been in the car listening to it for that long, they've fallen asleep to Frere Jacques! I mentioned getting a bit of work out while listening to the album, well celebrity personal trainer, Steven Teasedale has danced the entire album with his 3 year old girl and the news is that this could burn around 350 calories! So if you're having a tough day with the kids, stick this album on, have fun with them and once they're in bed you've definitely earned that small glass of wine and a few kettle chips! Hello from a new follower! My children (1 and 3 years old) both love Justin! We love the Hands Up single but I haven't got the album yet. I'm scared that if I buy it, I'll never listen to anything else in the car ever again!